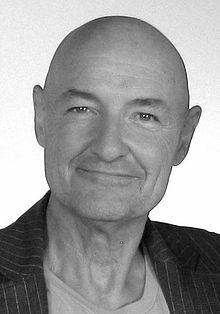 تری اوکوئین (اینگیلیسجه: Terry O'Quinn) آمریکالی اوْیونچو. میشیقان ایالتینده دۆنیایا گؤز آچیب. 1980–گۆنوموز ایللر آراسیندا سینما ساحه‌سینده چالیشیب. 1982 Tales of the Unexpected (TV series) cop Episode: "In the Bag"
1984 Miami Vice Richard Cain Episode: "Give a Little, Take a Little"
1985 The Twilight Zone Dr. Curt Lockridge Episode: "Chameleon"
Remington Steele Chuck McBride Episode: "Coffee, Tea or Steele"
1987 Moonlighting Bryant Wilbourne Episode: "Take a Left At the Altar"
1990 Jake and the Fatman Vincent Novak Episode: "You're Driving Me Crazy"
1992 L.A. Law Nick Moats Episode: "Beauty and the Breast"
1993 Tales from the Crypt Inspector Martin Zeller Episode: "The Bribe"
1994 Star Trek: The Next Generation Admiral Erik Pressman Episode: "The Pegasus"
Matlock Malcolm Engle Episode: "The Dare"
1995 The X-Files Lt. Brian Tillman Episode: "Aubrey"
1996 Diagnosis: Murder Dr. Ronald Trent Episode: "The Murder Trade"
2001 Roswell Carl Episode: "Michael, the Guys, and the Great Snapple Caper"
2002 The X-Files Shadow Man Episode: "Trust No 1"
2004 NCIS Col. Will Ryan Episode: "Enigma"
Law & Order: Criminal Intent Gordon Buchanan Episode: "Mis-Labeled"
Phineas and Ferb Professor Mystery (voice) Episode: "Lost in Danville"
↑ Terry O’Quinn To Host New Science Channel Series Mysteries Of The Missing – Discovery Communications, Inc. (en-US). ↑ Andreeva, Nellie (2017-08-29). "‘Castle Rock’: Terry O’Quinn Cast In Hulu’s J.J. Abrams/Stephen King Series". Deadline (in en-US). Retrieved 2017-09-05. اینگیلیسجه ویکی‌پدیاسی‌نین ایشلدنلری طرفیندن یارانمیش«Terry O'Quinn»، مقاله‌سیندن گؤتورولوبدور. ( ۲۲ ژانویه ۲۰۱۸ تاریخینده یوْخلانیلیبدیر). قارداش پروژه‌لرده تری اوکوئین گؤره داها آرتیق بیلگی‌لر تاپابیلرسینیز. بۇ صفحه‌‌ سوْن دفعه ‏۱۳ مارس ۲۰۱۹، ‏۱۲:۳۷ تاریخینده دَییشدیریلمیشدیر.